Moving schools is never a fun or easy task. Between figuring out the zoning laws, researching schools, and finding a new house that is in the district that you want, it can be a lot of work. The Ultimate School Comparison Worksheet takes some of the guesswork out of the process. This free worksheet will allow busy parents to quickly and easily track information that they find on the major school ranking sites: Niche, SchoolDigger, and Great Schools. It is done-for-you, with categories ready to be filled in with the most important school qualities. You’ll be able to see at a glance whether a school will meet all of your child’s needs, as well as your ideal commute and home price range. Need extra help? 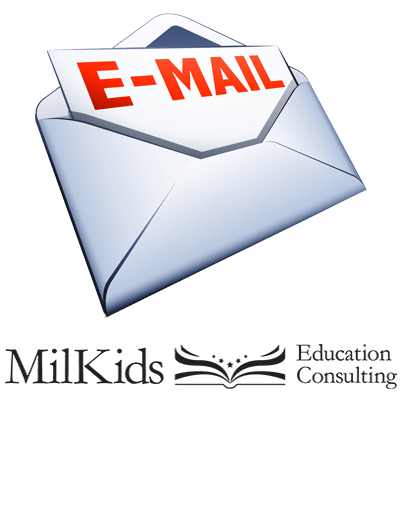 Contact MilKids to find out about how we can help you find an awesome school today!